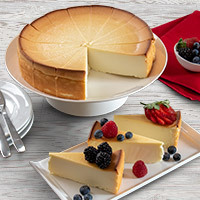 What are the top 10 cheesecake flavors? Well, it really depends on who you ask! Chances are pretty good that you will get different answers from different companies and different people. The top flavors are generally consistent, although a few may change depending on the season. The top 10 flavors always include the original, the turtle, a few fruity flavors, and a few chocolate flavors. In the fall, pumpkin flavor is also very popular. 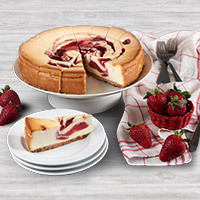 What are our current top 10 cheesecake flavors? Other popular fruit flavors include cherry, black forest, and pineapple. 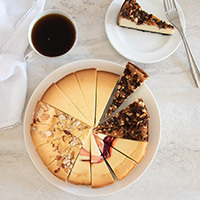 *For a few months in October and November, the Pumpkin Cheesecake will climb the chart above and reach one of the top 3 slots. 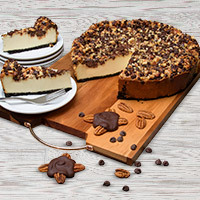 It is a seasonal cheesecake and we only offer it for a limited period of time.